No other garment has gotten more positive press in recent times than the Indian Anarkali. What can you say of a garment which has been mentioned in a song? If you are already humming The Bollywood song, you know the importance of this elegant outfit in our Indian society. Everyone including haughty fashionista love the glamorous and comfortable outfit called Anarkali. It helps you to look slim and glamorous and hides a multitude of sins. 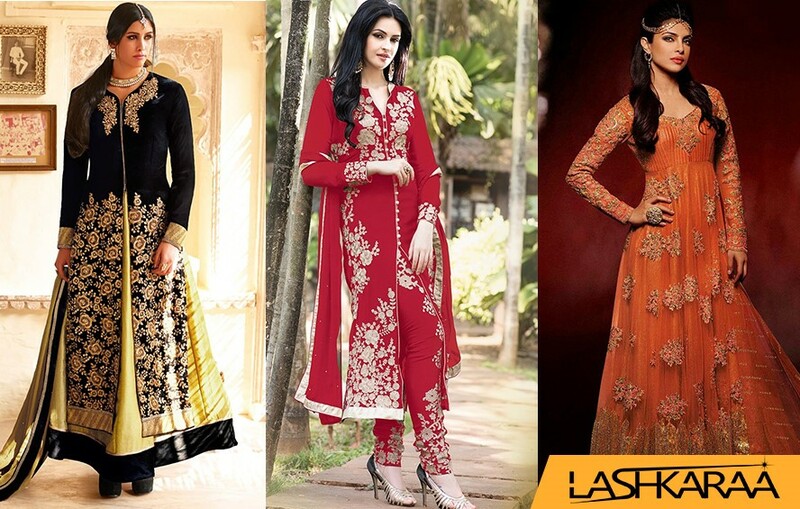 That is why women love to stock up on designer anarkali suits in their wardrobes, to look gorgeous effortlessly. History is privy to the fact that the Anarkali garment has been part of the fashion game for ages. Everyone from princesses to queens have worn this outfit, creating quite a fervor in their regal avatar. Anarkalis have not languished behind, even if the markets have been flooded with different kinds of outfits. So let’s find out why the Anarkalis are ever so popular with women. 1. It is form flattering– Anarkalis look great on people with slimmer frames, but the beauty of the garment is that it looks great on people who are not as slim either! The long garment hides all the flaws and clenches your not so slim stomach, giving the illusion of an hourglass figure. Now if you are planning to flaunt a svelte figure despite an overdose of adipose tissues, you know the instant slimming secret! 2. Effortlessly gorgeous– Sometimes your outfit does all the talking. And yes, you can look gorgeous without having to try very hard. 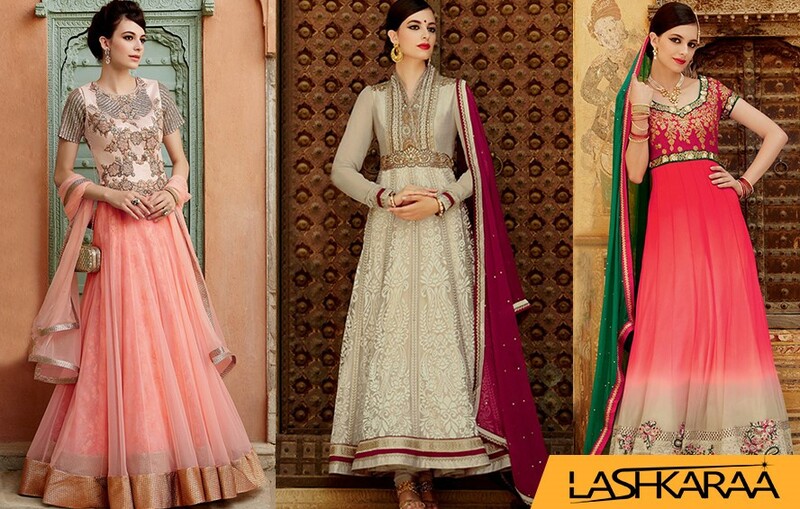 An outfit as gorgeous as an anarkali makes you look stylish and beautiful. A gorgeous outfit seldom needs anything more to jazz it up. A designer salwar suit in your almirah and you are sorted. 3. Glamorous yet sophisticated– A beautiful anarkali is your ticket to the glamorous world. Need to feel glamorous and sensuous? Try the kalidar anarkalis to feel and look gorgeous. 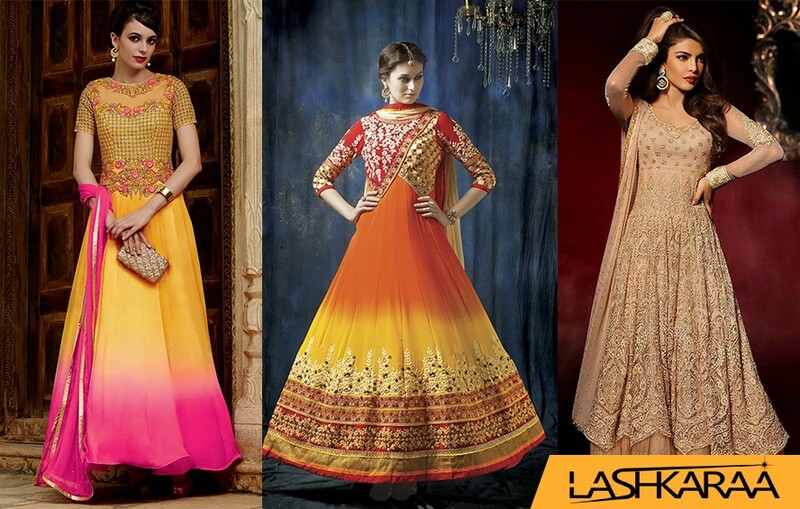 If you are off to a wedding or a party, an anarkali can be your go- to outfit. Not very confident in sarees? You can try anarkalis for a fuss-free yet gorgeous look. 4. Suits all kinds of weather– Anarkalis are suitable to wear in all kinds of weather. If you are in the middle of a sweltering summer, try cotton anarkalis, which can keep you nice and comfortable during the torrid summer months. In winters, you can try silks, organzas to give your style statement a whole new elevation. 5. Perfect for unmarried girls– Sometimes young girls shy away from wearing elaborate outfits for special occasions. They are not yet ready for the saree so, they think that anarkalis are be the best bet for them. A party wear designer salwar kameez can pretty much stop everyone in their tracks! 6. A sign of royalty– As we all know that anarkalis are a clear reflection of the bygone era, when you wear one you will feel connected to the past. It will make you look royal and infinitely stunning! So if you still haven’t shopped for an anarkali, you must hurry and get one soon! Now that you know the reasons why you should get one, invest in some beautiful creations which will cater to different occasions. Suited to an office party, a wedding, and any family occasions, the versatility of the garment speaks for itself. Shop online or rush to a shop near you, you will be stunned to see the wide variety of designs available there. Just get one without fail, and see how you stun everyone with your fashionable avatar!